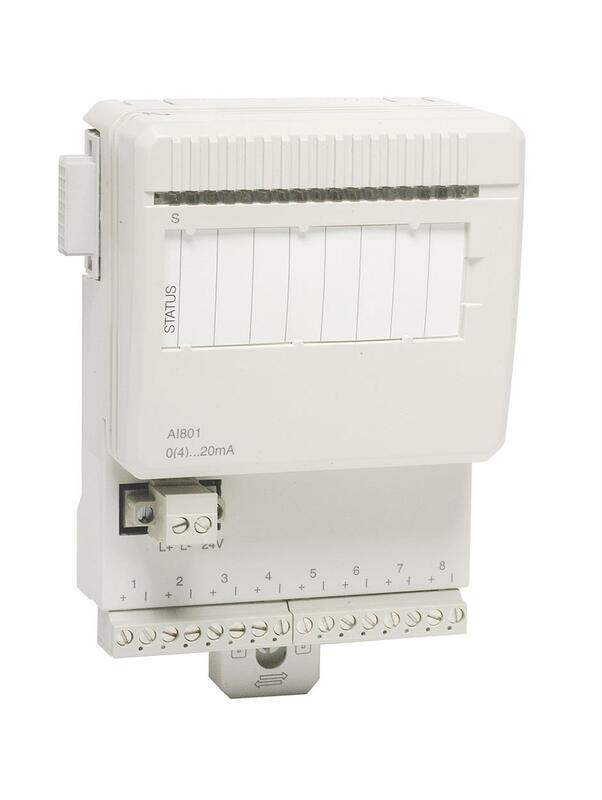 The AI801 Analog Input Module has 8 channels for current input. The current input is able to handle a short circuit to the transmitter supply at least 30 V d.c without damage. Current limiting is performed with a PTC resistor. The input resistance of the current input is 250 ohm, PTC included.